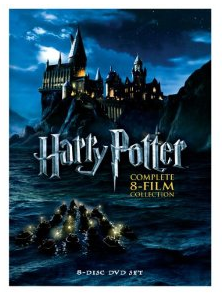 Harry Potter: The Complete 8-Film Collection only $33.49!! UPDATE: Amazon lowered the price to $27.99!! Harry Potter: The Complete 8-Film Collection is only $33.49 on Amazon! (orig. $78.92!) not sure how long the price will last! Thanks Swaggrabber!